Dark Horse and Charles Wood Publishing AB are excited to terrify more readers with The Dark North! Originally crowdfunded for publication in 2016, this illustrated prose-art book fusion features five unique tales ranging from Norse mythology to apocalyptic science fiction to fantasy. 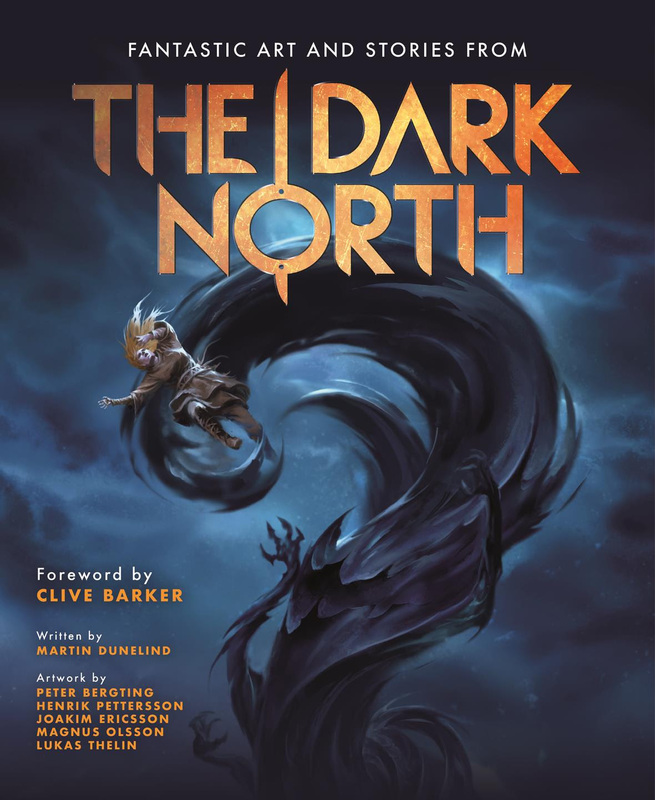 Writer Martin Dunelind composes The Dark North’s five enthralling tales. The Dark North showcases artwork by Scandinavia’s leading illustrators and concept artists—including Peter Bergting (Baltimore: The Red Kingdom), Henrik Pettersson (concept artist on Minecraft at Mojang), Joakim Ericsson (concept artist at Starbreeze Studios), Magnus Olsson (Neotech RPG), and Lukas Thelin (Western RPG, Lone Wolf RPG). Lukas Thelin also creates the beautiful cover. With a foreword by author and filmmaker Clive Barker, this anthology is sure to delight and terrify any horror fan in equal measure. The Dark North goes on sale September 27, 2017, and is available for preorder on Amazon, Penguin Random House, and Things From Another World.